The Summit Society is reserved for sisters and friends who have designated the Foundation as the recipient of a planned gift such as a bequest, life insurance policy, or charitable gift annuity. As you make plans for the future, please consider including the Alpha Delta Pi Foundation. Whether you choose to establish an endowment for leadership or educational programming, create a scholarship, or simply make an unrestricted gift in support of the immediate needs of the organization, you will have the satisfaction of knowing that your legacy will make a difference in the lives of sisters for generations to come. 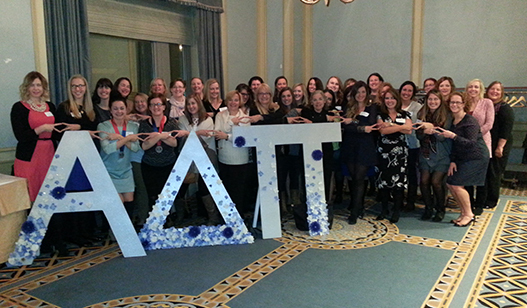 The commitment made by Summit Society members ensures the future success of Alpha Delta Pi. As you consider a planned giving opportunity through your estate or with a gift that provides lifetime income such as charitable gift annuities or trusts, please visit http://www.adpifoundationlegacy.org or contact the Alpha Delta Pi Foundation at (404) 378-3164 or foundation@alphadeltapi.com for guidance. Every effort has been made to accurately compile the list of Summit Society Members. If your name is not listed correctly, or if you have questions concerning your membership in the Summit Society, please contact Jennifer Polley Webb, Foundation Executive Director, at jwebb@alphadeltapi.com or (404) 378-3164.